On Astrological Cook, the parallel between your sign and your sauce will come together in delicious blend of information and humor. This weekly program walks you through some basics of catering to your sign and gives healthy options for your chart. Do you remember that old saying, “You don’t know where you are going unless you know where you have been?” That is the essence of evolutionary astrology. By examining your past lives, I am able to uncover the benefits and blockages that have come with you in this incarnation. Often buried deep in the subconscious, they need prodding to wake up and come into your awareness. This process allows you to clear up any negative energy and utilize your karmic rewards so you can experience the most out of this lifetime. Once done with the past, I look at where you are going – where you soul is seeking to progress in this incarnation. Some people say those who die with the most toys “win” at life. I prefer to think of life as an unfolding of soul consciousness and the “winners” are those who have grown into their real purpose. Don’t go through life encumbered by karmic blinders. Invest some time in yourself and allow me to help you plot a roadmap through life with an evolutionary birth chart reading. You owe to yourself to get an evolutionary birth chart done. We do not go down the street these days without a GPS so why go through life without similar guidance “from above.” Think of me as your astrological GPS – that little guide that keeps reminding you of your right path. If this all sounds very complicated, don’t worry. In my chart readings, there is no “astro-babble” just lots of “regular English” and very down to Earth humor. 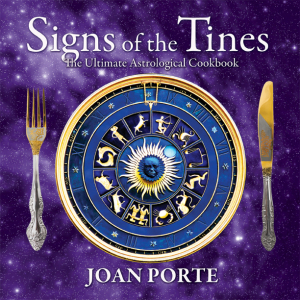 (One of the reasons I wrote my cookbook, “Signs of the Tines, The Ultimate Astrological Cookbook” is because I wanted to make astrology more fun and accessible.) 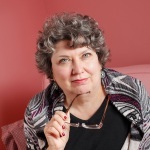 I remember having a reading done once and when I got the cassette tape (yes, it was that long ago) I had not one clue what that woman was trying to say about my life…and I was already a student of astrology! I promised myself my chart readings would be accessible, interesting and fun. I also include my “Astrological Notes” which help explain the chart and the workings of astrology even more. Unable to gain control over your life. You can also order a relationship chart and find out how many times, if any, you have been around with your significant other and what traps you need to avoid this time around! These charts also make wonderful marriage and baby gifts. I really enjoyed my chart and you were very “right on” on many things you identified. I was amazed at how accurate some of your insights were. I listened to it several times and you explain things well so I feel I am clear on what you identified as things I need to work on. — Mary D.
And I cannot believe you actually mentioned the push-me/pull-you llama! Years ago in a channeled reading, the guides brought up that very image, which I could only vaguely recall at the time, until I looked up a picture. What was that from, anyway? But truly, it’s not a reference many people make, so you really hit the nail on the head with that one. I just about fell out of my chair when I heard it! — Ellen D.
It’s just that your reading was so remarkable that it felt to me as if my spirit guides were directly speaking to me through you. This is all especially remarkable since you knew nothing but my name and birth date when you did the reading! — B. J. What would your feed a hungry Gemini? Something that will allow them to eat and talk at the same time – you know how they love to talk! Never give a Virgo something full of fat and calories – they are the body perfectionists you know! Have fun and play with your food as you play with the stars!